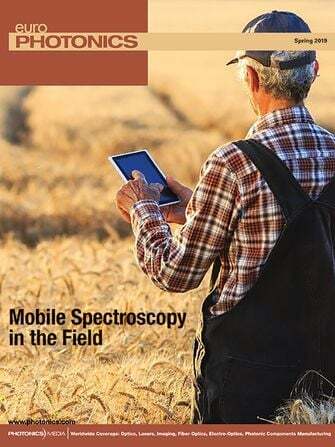 The SPECIM IQ mobile hyperspectral camera from Specim, Spectral Imaging Ltd. is an advanced measurement and imaging solution that provides information in an instant for critical decision-making and response. The device allows users to analyze material samples anywhere, in seconds. The camera and software are easy to adapt and configure for applications in food safety, recycling, health, forestry and many other sectors. The camera is ideally suited to the needs of OEM industry for building their own applications for their own clientele due to Specim’s Application Development Tool. When you click "Send Request", we will send the contact details you supply to Specim, Spectral Imaging Ltd. so they may respond to your inquiry directly.